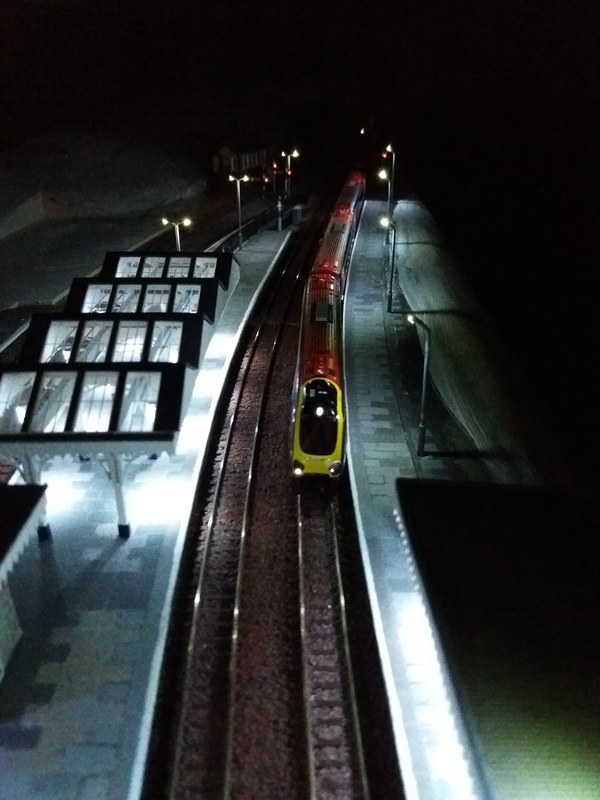 I'm new here and I'd like to introduce myself: My name is Christoph, I got my first train at age 4 and have tried to build a decent layout eversince. Somehow it never went far... The issue was always either money or time or space and the right theme kept eluding me. 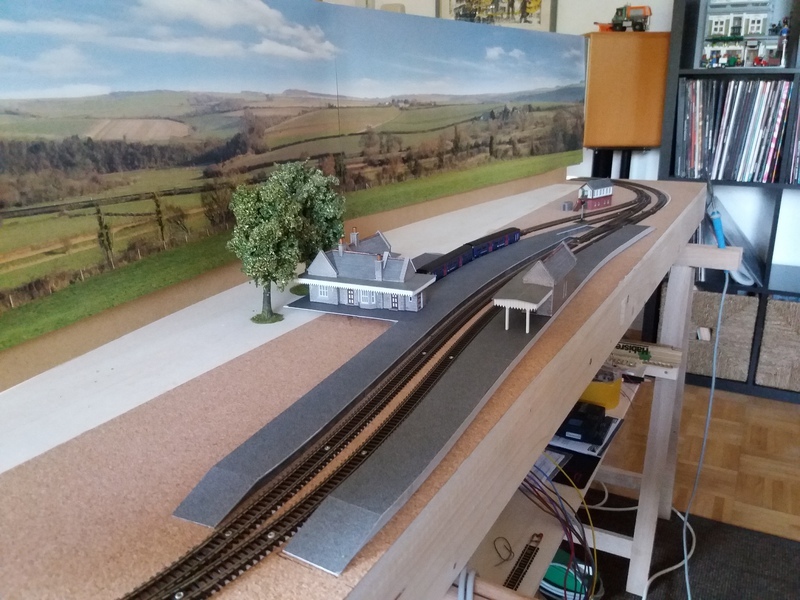 As "space" is the issue today, the layout had to fit in my small flat, so I switched from H0 scale to N.
Rose-an-Grouse is a semi-fictitious junction based on St Erth. I'm trying to get as many details as possible right but concessions have to be made to the limited space. E.g. 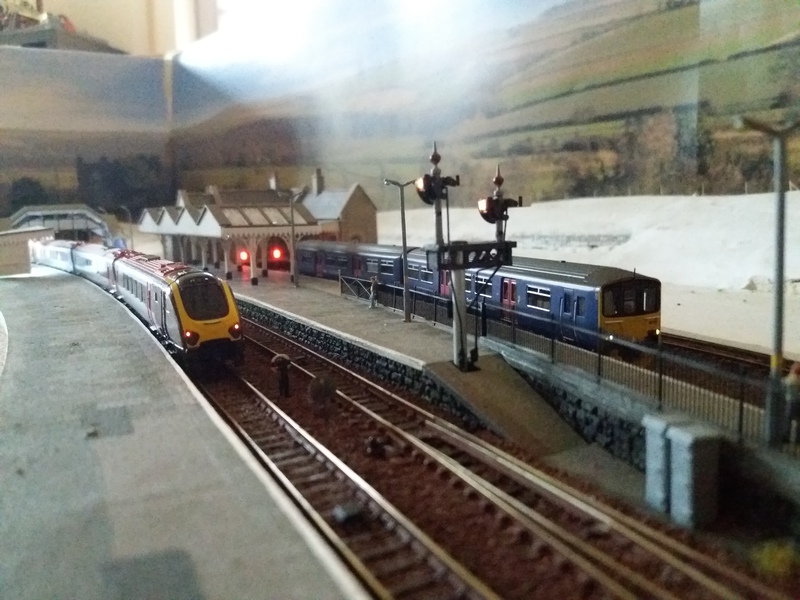 the Cornish Mainline had to be reduced to single-track, the platforms had to be shortened by about 30% and some buildings had to be omitted. Most structures are moderately modified Metcalfe kits but some are my own design. More will follow soon. Let me know what you think about it! That’s a very good start Christoph. Good mornng Christoph and welcome to the forum from someone who lives just down the road frm St Erth. That looks to be a great start. It is a great location to model and I look forward to seeing more of your work as you progress. Welcome to the forum Christoph. That looks like an excellent start. I look forward to future installments. This is going to be a great little layout! What a shame it is single line at the ends of the scenic section. I assume there's not a lot of room around the back. May I ask what the trackwork is, please? Looks like Peco Code 80? Welcome aboard. It's nice to wake up to new layout on the Forum. Looks really good. Great stuff, looking forward to more pics and more of your build. Hi Christoph and welcome to the forum. That layout is looking good. Excellent work, with some great detailing. Hello everybody and thanks for the warm welcome! I know it's a shame but 1.8 x 0.6 meters is as good as it gets considering my limited space. The alternative would have been to make the platforms even shorter. So, in the end, reducing the mainline to single-track was the lesser of two evils. You're right, it's Peco Code 80. 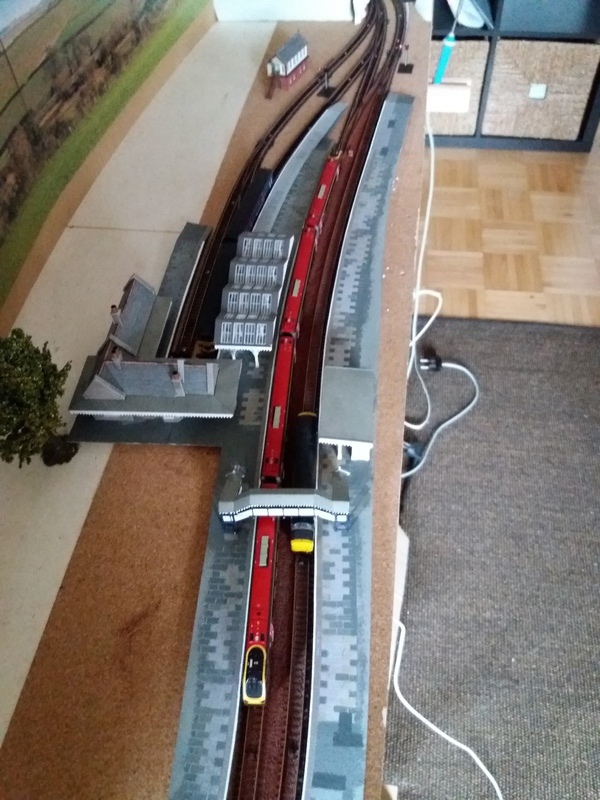 The layout is DCC controlled by Rocrail and an Uhlenbrock IB-COM. 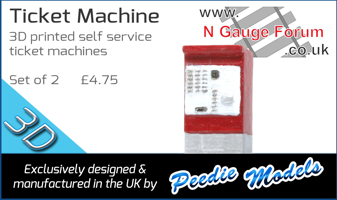 It's already fully operational and runs on schedule (saturday schedule only at the moment). Now that everything runs smoothly I'm turning to detailing and landscape. Welcome here. Glad you present your layout also here. About the size... I would be happy to have that kind of space. So far I got the concession of 24"x16.8" (or A2 format) from SWMBO. 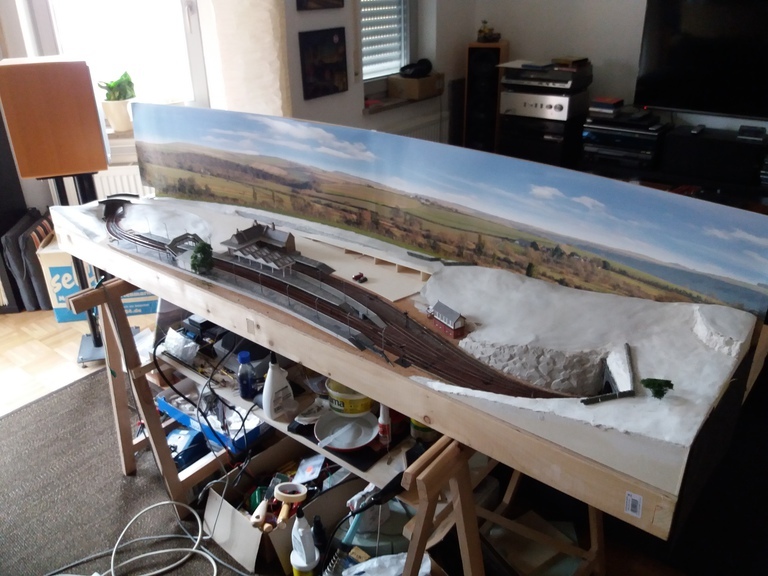 Welcome to the forum Christolph and what a lovely little layout you are creating, you can't beat the GWR and the West Country. 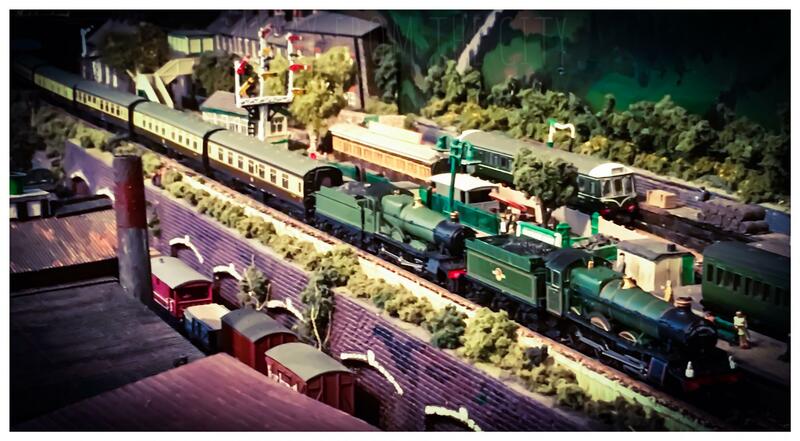 you can't beat the GWR and the West Country.